Channeled through Ron Head, Oracles and Healers, August 5, 2014 | Thanks to Awakening Daily. (To me) This has been an exciting and educational month for you. We have been with you each step of the way and you have done well and learned much. There will be further trips to other locations in the future. Prepare for that to manifest. We will begin by alerting those who are not yet aware of it that you are in the sharply rising energies of the yearly 8/8 Lion’s Gate portal. Those of you who are able to sense these bursts of energy should be aware that this year the increase in intensity will be greater than ever. Coupled with the fact that your base energy signature on the planet is higher than ever, this will make for an interesting time. It is time for you to give some thought to this part of the mechanism of change. These energies arrive in your neighborhood and change the frequency of everything, literally everything, on your world. This includes each and every cell of your being. You are then experiencing a rise in the mental and emotional fields of your being as well. Your consciousness is increased in quality, content, and effectiveness. This accelerates the changes in your outer world. Now, obviously, it is much more apparent to those who are aware of what is happening. Those who are totally unaware are experiencing greater and greater stress. Many, however, are reaching the threshold of awakening and beginning the journey which most of those reading this have already started. If you are one of those who count yourselves as awakened, then you should also be aware that your journey has just begun. There are universes yet unknown for you to explore, not the least of which is the one inside of you. We ask you now to refocus on who you truly are and how your being here serves the whole at this crucial time. Understand that it does do so. 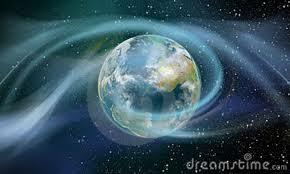 Even the simple fact that your energy is rising is serving to help raise the vibration of the entire planet. But it is also true that you bring many other needed things to the table. You may be a leader of society. You may be the mother of children. Each of you is contributing something vital. It is not possible for you to see the far, far reaching effects of everything that you do and say. But you are changing a world and the history of this universe. That is an immense and worthy thing. We ask you now to continue to find those things, those practices and ideas, that will raise your consciousness further each day. Seek also those understandings which will improve your health, for you cannot be as effective if you are not well. Know that fears, feelings of unworthiness, resentments, and anger, especially if they are repressed and unexamined, are detrimental both to your health and your progress. Find ways to discover them and release them from your lives. There is much great change in the making on your world. You will need all of the centering and calming skills which you have learned. But keep always in mind that the outcome will be far more wonderful than your imaginations have been able to see. As you love to say, just keep on keeping on. We love you and are always, always in your hearts and in your service. Good day. Next Lisa Gawlas: Your Breath of Life!